Finding an investment property that fits your goals and your budget in Rio Rancho, NM, can be very exciting. However, after you have purchased your property, you must consider how you will manage it. From performing regular maintenance to dealing with residents, you might discover that property maintenance can be difficult and time-consuming. Many property owners decide to hire a team of experts with experience in both the Rio Rancho area and the property management industry. These property owners soon discover that hiring a property management team is the key to increasing their profits and decreasing their expenses. When you partner with Real Property Management Albuquerque, you will find that we can help you achieve the maximum return on your investment while ensuring that your Rio Rancho residents live in safe and reliable homes. We want to ensure that you and your residents are pleased with the services we provide, and we will always focus on caring for your rental property the same way we would manage our own homes. We are an industry leader when it comes to licensing, insurance, and legal compliance, making our team formidable against any situation imaginable with your Rio Rancho property. Our main goal is to foster high-quality partnerships with both investors and residents to give you the confidence that we will always be available to you and your residents. When we handle the continuous, time-consuming property management tasks for you, you will save time and be able to focus your efforts on acquiring more properties and cultivating your business relationships. Because we are always growing, the locations that we manage grow with us. The areas listed below do not restrict our ability to serve you. Rather, we are ready to grow with you depending on your location and needs. Just give us a call if your area is not currently listed. Rio Rancho is the economic hub of Sandoval County. It is one of the fastest growing cities in New Mexico. New construction is at a high rate and makes it an energetic city to live in or own an investment property. If you are interested in having your Rio Rancho property managed by Real Property Management Albuquerque, have more inquiries, or want to talk with one of our team members, then contact us online or call us at 505-831-8700 today! Rio Rancho is a large city north of Albuquerque. It’s one of the fastest growing cities in New Mexico, indicating that there are many opportunities for old and new residents of the city. Rio Rancho has many parks and trails both in and nearby the city. These trails are perfect for those who enjoy taking leisurely strolls through nature and, alternatively, for those who prefer biking through challenging mountain terrain. 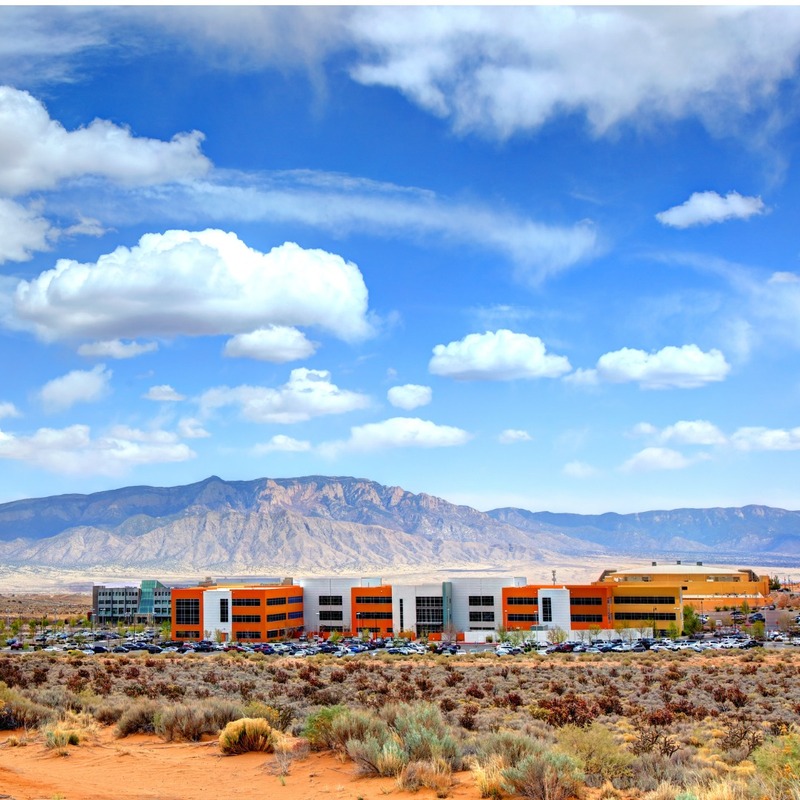 Homes in Rio Rancho have beautiful views of the Sandia Mountains, and residents can enjoy shopping and dining in the central business district. Rio Rancho also has a rich history, and visitors and residents alike can visit the many historical sites near the city. Rio Rancho is small enough to maintain a relaxed way of life while offering many of the benefits of a larger city.